Behold an awesome tangy dip! 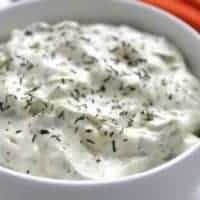 Believe it or not, this keto dill pickle dip is better than any of the store-bought varieties and will be more satisfying! Grab your “crunch” of choice and eat up!